Nice, clean, warm apartment with all necessary amenities in the walking distance from the Inner City and all the museums. Quiet during evening and night. Make sure you call the elevator to a different floor before you go to sleep, or you will hear an occasional hum/vibration every now and then :) . Host was very friendly and had an excellent conduct . The apartment has all the utilities you would expect in your home. The appartement was located 20 min away (by foot) from the city center. 10min from the museum. Metro and Tramway 2min away from the appartment. You can reach easily any monuments. Nice area with some restaurants, supermarket, Bank, and the must a good backerei for fresh croissants in the morning. Very nice, clean flat in quiet building in convenient area. Well-equipped kitchen and lots of towels provided. Good shower. Friendly reception and everything thoroughly explained on arrival. Free wifi. Peter un tio genial, un gran anritrion. El sitio muy bien, cerca de todo, con buenas conexiones. Appartamento confortevole dotato di cucina funzionale e tutto l’occorrente per una breve vacanza, lavatrice compresa. Metropolitana a 5 minuti. Proprietario disponibile e molto preciso anche nelle indicazioni. Correspondance par courriel avec notre hôte depuis avant notre arrivée jusqu'à notre départ. Accueil et recommandations de M. Markus furent très appréciés. Appartement proche du tramway nous conduisant facilement au Centre-ville. Sehr süsse Wohnung, mit kleinem Balkon. Alles da was man braucht. Sehr, sehr liebe Vermieter! Jederzeit wieder! Lock in a great price for Ferienwohnung Peter – rated 9.5 by recent guests! 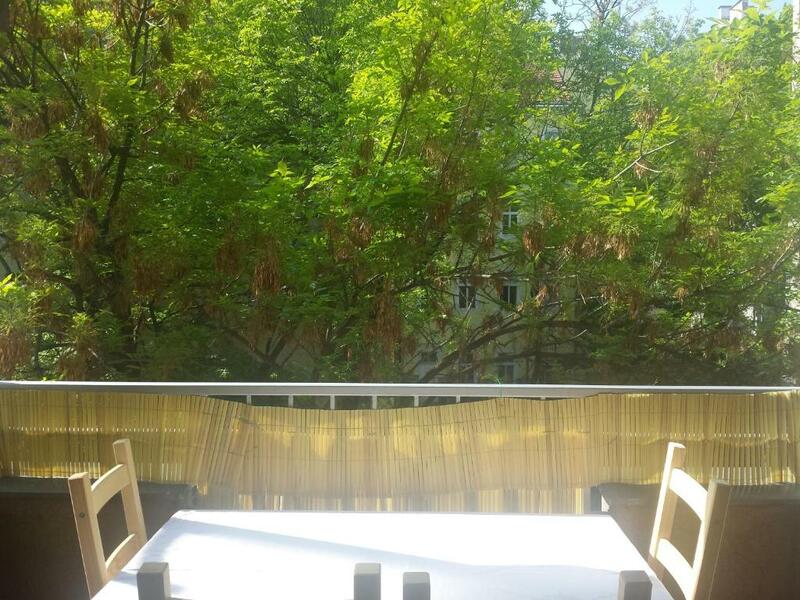 Conveniently located in the 8th district of Vienna, the self-catered Ferienwohnung Peter apartment is 800 feet from the nearest tram stop (Albertgasse). From there, tram no 2 takes you directly to the Town Hall (Rathaus) and the Vienna State Opera in the heart of the city. Offering free WiFi, the Peter’s apartment consists of a balcony. The kitchen comes well-equipped, including a dishwasher, a microwave and a coffee machine. A flat-screen satellite TV and a washing machine as also provided. Several shops and restaurants can be found within 1,300 feet from Ferienwohnung Peter. The nearest metro stop of Josefstädter Straße on line U6 is within the same distance. When would you like to stay at Ferienwohnung Peter? This apartment comes well-equipped. It offers free WiFi and satellite TV, as well as a dishwasher, a microwave and a coffee machine. The flat is on the 2nd floor and there is a lift. I am travelling a lot for Business reasons. There are lots of different Restaurants near the flat, it takes around 10 minutes to the inner city of Vienna, a parking lot about 10 minutes away by foot can be arranged for 10 Euros per night. House Rules Ferienwohnung Peter takes special requests – add in the next step! Ferienwohnung Peter accepts these cards and reserves the right to temporarily hold an amount prior to arrival. Please note that this property has no reception. Please contact the property in advance in order to arrange your check-in. Contact details are stated in the booking confirmation. Please inform Ferienwohnung Peter of your expected arrival time in advance. You can use the Special Requests box when booking, or contact the property directly using the contact details in your confirmation. I wouldn't really say I didn't like anything. 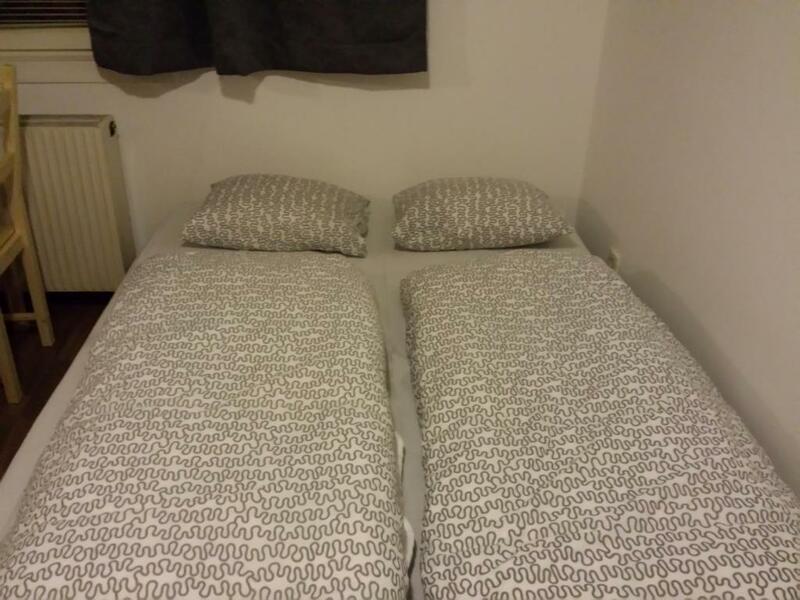 Only a minor thing but if I had to say something it would be that the bedding (duvet & pillows) could have been better quality.